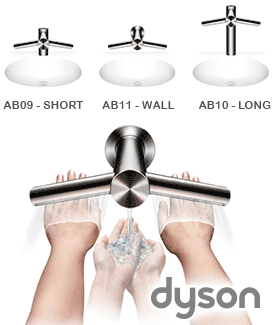 With Airblade technology in a tap, hands can be dried at the sink in 14 seconds. ** There's no need to move to a separate hand drying area. **Dry time measured using Dyson test method 769 based on NSF P335 using a measurement of 0.1g residual moisture. Both water and air are sensor operated so there are no taps to turn, or buttons to touch. Intelligent, infrared sensors emit light to pinpoint hand positions. Computer circuitry coordinates the information and initiates the appropriate response of water or air without long delays. "In restrooms using conventional taps, you'll need to move to a separate hand drying area, dripping water on the floors as you go. 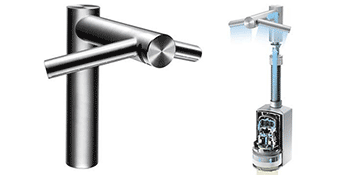 It's why we've developed a tap with our hand drying technology in it." The Dyson Airblade dB hand dryer dries hands in just 12 seconds**. It's the fastest hand dryer. It also has touch-free operation, uses a HEPA filter and has a lifetime antimicrobial additive to protect the product. 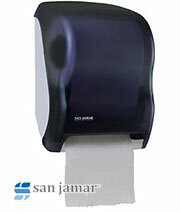 No other hand dryer meets every part of NSF Protocal P335. The Dyson Airblade Tap hand dryer costs up to 69% less to run per year than other hand dryers, and up to 97% less than paper towels. And of course there are no separate taps to buy. Dyson Airblade hand dryers produce up to 79% less CO2 than some other hand dryers and up to 76% less than recycled paper towels. 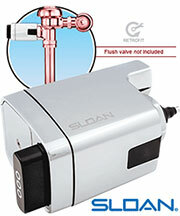 Controlled water flow rate and sensor operation can help save water. 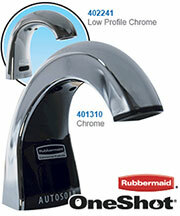 Smooth, stainless steel outer, wipes down directly over the sink - no separate hand dryers to clean.